A selection of free printable birthday certificate templates for kids. 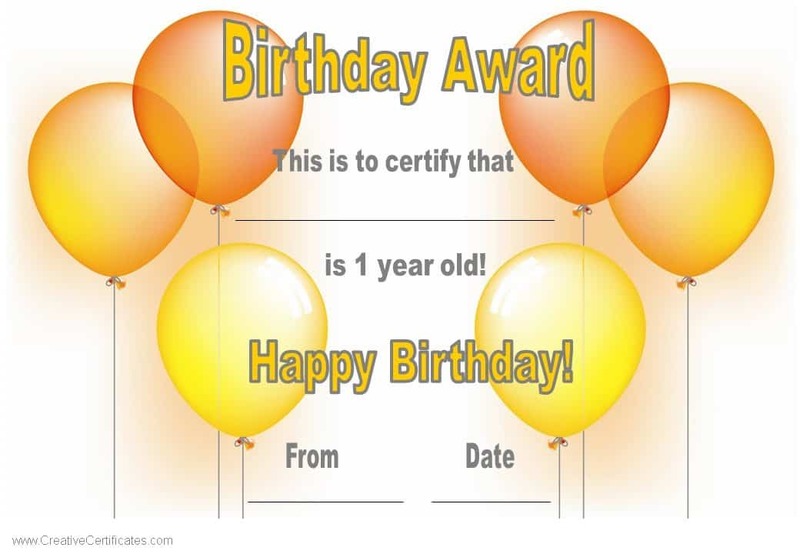 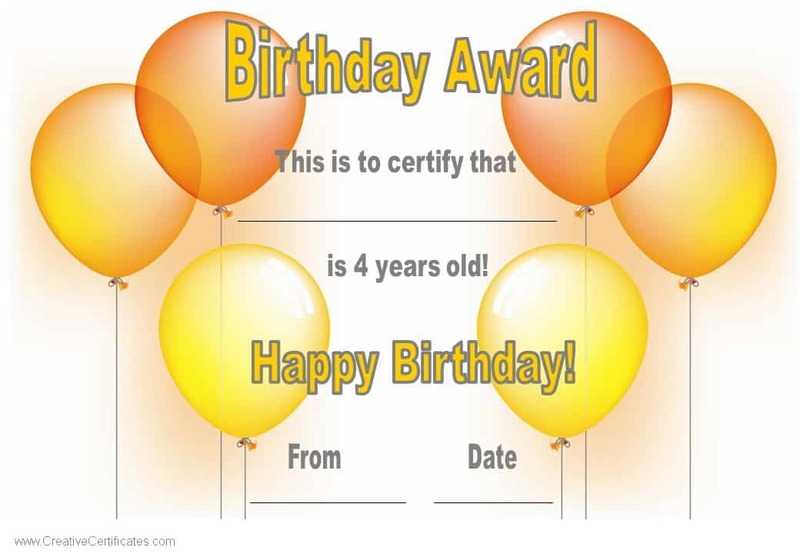 The following birthday awards are generic and can be used for any age. 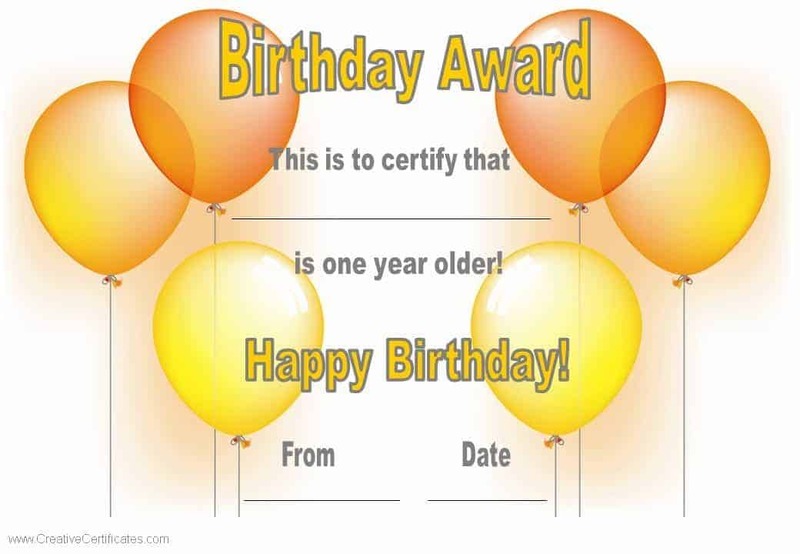 If you would like to state the age then check out the selection below. Are you organizing a birthday party? 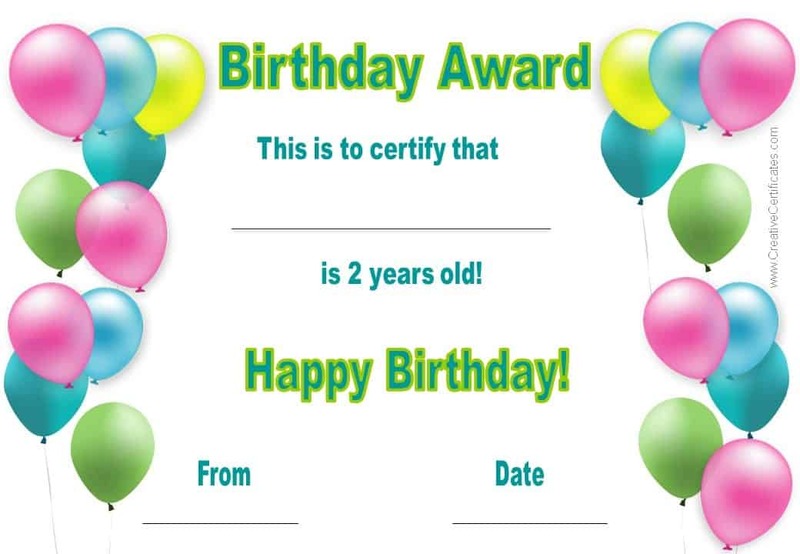 Why don’t you check out our free party certificates for guests to thank them for attending the party. We also have award certificates for party games such as the Minute to Win games with all of the printables required to easily prepare a Minute to Win party or event.